… it's The Jazzmaster himself, Paul Hardcastle, entering our showcase spotlight with 3 great tracks from the Hardcastle 5 release. Then a bit later, we take a trip down memory lane on the Back Trax segment. Featured on this installment is an Al Stewart classic with Peter White guesting - also appearing are Dean James and Karl Denson, while Kenny Kleinpeter and Chris Geith round out the set. That's followed later in the hour by current favourites by Nick Colionne and Nate Harasim; also included are Jimmy Sommers and Gabriel, while scattered thruout you'll find Everette Harp, Marc Antoine, and Spyro Gyra. But, to get things rolling there's something new from guitarist Pete Gitlin and his Full Circle and the Great Temptation debut! Although he didn't really come from a musical background, British born Hardcastle has developed into one of the most prolific performers in on the smooth jazz scene, and essentially, it all began an impulse. While selling stereos in the early '80s, he traded a video camera for a synthesizer and after three months of experimenting, he joined his first band. Hardcastle recorded first hit in 1984 with the track Rainforest while his follow-up broke internationally. The self-titled release contained the tune 19, which was based on the average age of soldiers in the Vietnam War - it proved one of the top single for 1985! Subsequent projects met with varied success, but for a time Hardcastle chose to switch gears working as a remix producer for the likes of Barry White, Hiroshima, & others. Then in 1991, there was an album released as Kiss The Sky, which foreshadowed things yet to come. The project turned out to be a proto-type for The Jazzmasters, which presented a hybrid of jazz & dance music. The album caught on in Japan & in time, it swept America and then the world! In the period since, Hardcastle's music has become a staple in the format he's helped define wherein he's explored a seemingly infinite number of variations on a smooth & soothing laid-back and jazzy sort of theme. He now has five Jazzmasters projects to go along with five more under his own name, with the issue of the appropriately numbered Hardcastle 5 as the most recent! Having sold well over 11 million records worldwide, Hardcastle has created more than his fair share of what might be termed instant hits with this latest installment in the Hardcastle series having spawned his most recent pair of chart-toppers! It's therefore now our distinct pleasure to thrust Paul and that project into the brilliance of our showcase spotlight - we've chosen a trio of super selections beginning with the easy percussive groove of Marimba, somewhere around Hardcastle's 11th and most recent #1 track since he started The Jazzmasters craze! Revival opens hour 2 complete with finger snaps and snappy noodling on sax and flute courtesy of Snake Davis. Our closer is another former runaway hit in Lucky Star - the title sums up the Hardcastle saga quite nicely for his many fans as it was indeed fortuitous, the day Hardcastle made his trade so many years ago! Hailing from Baton Rouge Louisiana, Kenny Kleinpeter was born the middle child in a family of seven siblings. He began piano lessons at the age of eight, and studied for about 10 years before enlisting for four-year stint in the Navy. Upon returning home, Kleinpeter attended LSU Music School for three years but for the most part, he worked in his family's dairy business. After 20 years, he 'retired' in 1998 to pursue a career in music and to date he's issued seven releases in all. 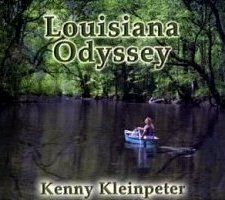 On this occasion, we're returning to the 2001 Louisiana Odyssey release and what was Kenny's 4th album. From that cd, we're going with a beautiful piece entitled Into Your Eyes that Kleinpeter wrote for his wife! Serving up a style that falls nothing short of eclectic saxman Karl Denson is a highly energized player, who has been expanding minds since connecting with Lenny Kravitz back in 1988. 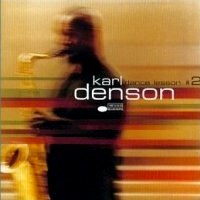 When Kravitz moved away from using horns in the early '90s, Denson moved from rock & roll to jazz. In 1994, he helped found the San Diego funk and jazz band Greyboy Allstars in collaboration with DJ Greyboy before eventually creating the group Karl Denson's Tiny Universe. KDTU, as they are commonly referred to, released a self-titled 'extended play' back in '99 while Dance Lesson #2 followed a couple of years later under Denson's own name. From that release, we have the track Flute Down upon which Denson does double duty handling both sax and flute! Dean James was about 15 when he picked up the sax after a knee injury sidelined his aspirations in football. Practicing up to eight hours a day, he attended Berklee in Boston, before setting up shop in San Francisco. In the mid-80s, James relocated to LA where he developed as a regarded sideman and session player with the likes of Rob Mullins and others. Debuting as a soloist in '95, James catapulted to the #11 album for the year a couple of years later with Intimacy, his sophomore effort. From that release, we're hip to the track that was one of the big hits for the year in the tune Market Street! Hailing from Glasgow Scotland, Al Stewart signed a 6-album record deal in the mid-60s releasing his debut in '66. The first four gained little commercial interest, although containing some of his finest introspective work. 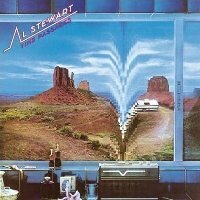 Nearly a decade later, all the pieces fell nicely into place for what became Stewart's defining efforts when he connected with producer Alan Parsons and hired none other than Peter White - yes indeed, our man Peter got his big start with Stewart after auditioning on piano. This began a 20-year association that saw White step into the spotlight on the million-selling The Year of the Cat in 1976, while helping co-write the title track for Time Passages a couple of years later. From that very cd, we're featuring End Of the Day, a classic track co-written by Stewart and White that's highlighted with some of Peter's vintage playing! Keyboardist Chris Geith first came to our attention a few years back on the old mp3.com, when it was still a Mecca for up and coming performers. Back then, Geith had already issued a pair of excellent projects with his 2000 Prime Time release placing him among the most downloaded musicians on the internet with well in excess of 1.4 million downloads. 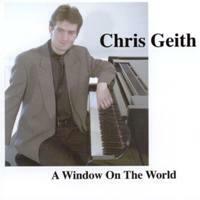 Earlier this year, Geith recorded Timeless World, his third release, which has become one of our most-played albums for 2008. In the interim, there was A Window on the World - from 2002 and a project that was unfortunately never officially issued, we gettin down with the title track! Between Dreams … the second in a four-part series, wherein each & every selection we're playing has 'dream' in its title. This time we're calling it Between Dreams borrowing the name from a track by the late George Jinda. Additionally, we're gonna ask you to listen up if you will for the tracks Azure Dreaming, Soul Dream, and Nothing But A Dream! We open with a set that includes Fourplay, Shakatak, Nestor Torres, and Euge Groove. The middle frame starts with George Jinda - that's followed by Sam Riney, Jonathan Cain, and Tim Bowman. While in the end, it's Gregg Karukas, Les Sabler, Kilauea, and Kuh Ledesma. Meanwhile, setting just the right mood at the outset we have 'the Four-who-Play' - we're going to Lee Ritenour's time with the band for this one - it's called Dream Come True and it launches our Between Dreams feature!